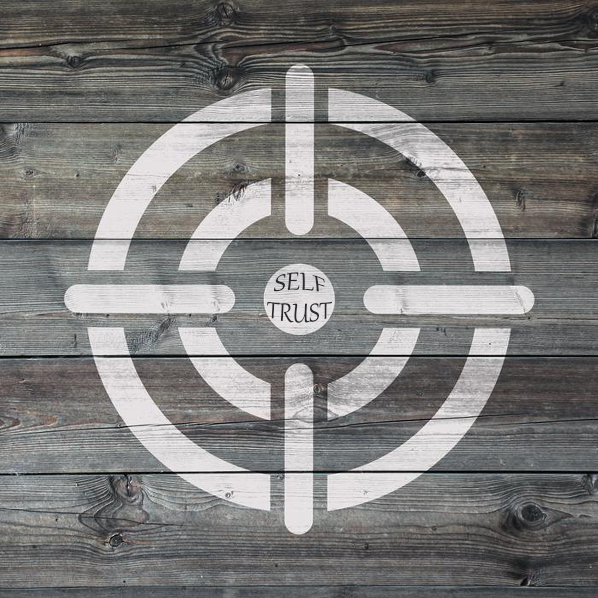 So now that we’re back to the basics, what is Here to look at, when having to “crossing my eyes “I’s” to see the dot in the center of the “t”, being the bullseye of Self-Trust, in the chattering of teeth when realizing things are in reverse, and the “San’ in Sanctification, relates to the time wasted, (when based in religion) within the Sands of time spent on running away from Self, into a room of complacency with complacency being that of the padding on the wall, without realizing how we’ve placed ourselves into a strait jacket, that straight jacked the potential we once saw ourselves in line towards and within, then miss the obvious every time we step away for a moment. Back then, the then of now is right now and have always been present with every step we took, and take, attempting to save face and tempt fate by walking away/around in circles until we get it, and see the straight line to change, then take the first baby step on line with a rebirth in mind, that needs to be done when reaching the point of Nothingness and Amalgamate with the physical, as if it was nothing. Without the sanctification of investigation, at death one makes the mistake within a statement of wanting to be cremated, as I have experienced with a family member who recently passed, and interesting how when set in our own way, we set ourselves away from reality, the Real-I-Took for granted, but Y, just so others can say rest in peace and peace out with the believe that there is a better place waiting for me on the other side, which is a bold face lie that’s only seen when you get there, when Here is where it’s at, a moment to take responsibility for all the refractions we let happen, that rippled throughout existence (In fact) every time we abdicate our responsibility of Self, which in fact regards the world as a whole and me as myself. For me what’s the use of getting mad when I can investigate the point, to point out to Self my excuses for becoming mad, which is abusive in fact to everyone around me, when walking away from living the grounded version of me, and walking away from being the best me I can be, that all started when I chose to stand up for life, yes mine my own to get to know me as all life, and make my reality a place of Response Ability, by walking through these consequences using the tools I was given, such as writing, I now like write as a point of investigation and Self-Forgiveness to release myself from the patterns I’ve been perpetuated, to living in ever moment my corrective and commitment statements, and that’s how I sanctify the point of Self – Investigation.